Glass in the light well, Shrewsbury Cathedral toilets. Luckily there were some fascinating glass blocks in the toilets at Shrewsbury Cathedral, as that (and the cafe) was the only part of the building open to visitors last Sunday lunchtime. 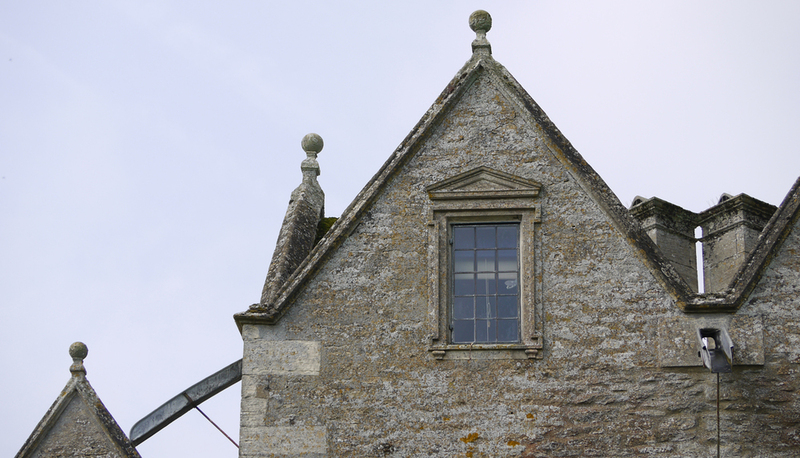 I took photographs of these (above) instead of the famous Margaret Rope windows I wanted to see. Then I thought about the windows I had seen recently and sorted out the ones that photographed well to make this review of my stained glass year. Comments below say what I like about each group of windows. Together, they are a celebration of the anonymous makers and designers - except for a few bits of Victoriana. King's College Chapel, Cambridge. Chavenage House, Gloucestershire. St. Mary, Bruton, Somerset. Fantastic glass painting of faces and figures - C15th deceased man standing in his tomb; medieval fragments; coloured background of the promised land by The Royal Stained Glass Works. Peterborough, shop door. St. Thomas a Becket, Romney Marsh. Sts. Peter & Paul, Wisbech. Crosses - stained glass crochet style; cross that emphasises the qualities of the materials; crucifixion using Victorian (William Wailes?) and medieval fragments. The Grand, Folkestone. Holy Cross, Ramsbury, Wiltshire. Kingsdown Crematorium, Wiltshire. Shadows and the introduction of colour - holiday breakfast; wonky geometry; new laminated coloured glass panels. All Saints, Cambridge. All Saints, Leicester. Peterborough Cathedral. From rectangles to diamonds - ancient angels below & William Morris angels above; with both shapes & more wonky geometry; keys of St. Peter in light and dark colours above the huge diamond panels. Click on pictures to enlarge, follow me on twitter (link at top of page) and instagram (sashawardglass) to see more.